Because a ninja is pro, flip a coin 5 times. This attack does 5 times the amount of heads shown. 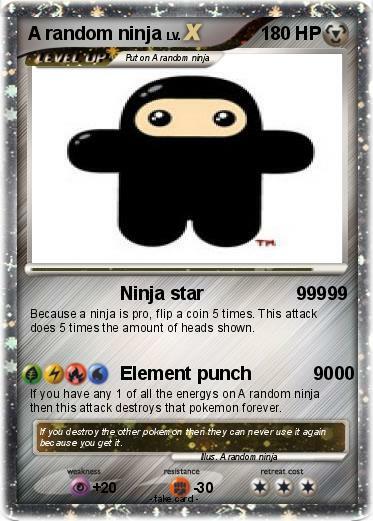 If you have any 1 of all the energys on A random ninja then this attack destroys that pokemon forever. Comments : If you destroy the other pokemon then they can never use it again because you get it.